I love sweet potato and so does my daughter. I find that when she’s not too keen on something new; she’ll eat it when I mix in some sweet potato! I always make extra so I can have some sweet potato purée in the freezer. This is such an easy lunch that only requires 3 ingredients. No preparation, you can get on with other things whilst it’s in the oven and it tastes so yummy. Preheat the oven to 200C. Prick the potatoes in several places and bake for 30-45 mins until soft. When the sweet potatoes are ready cut them open. 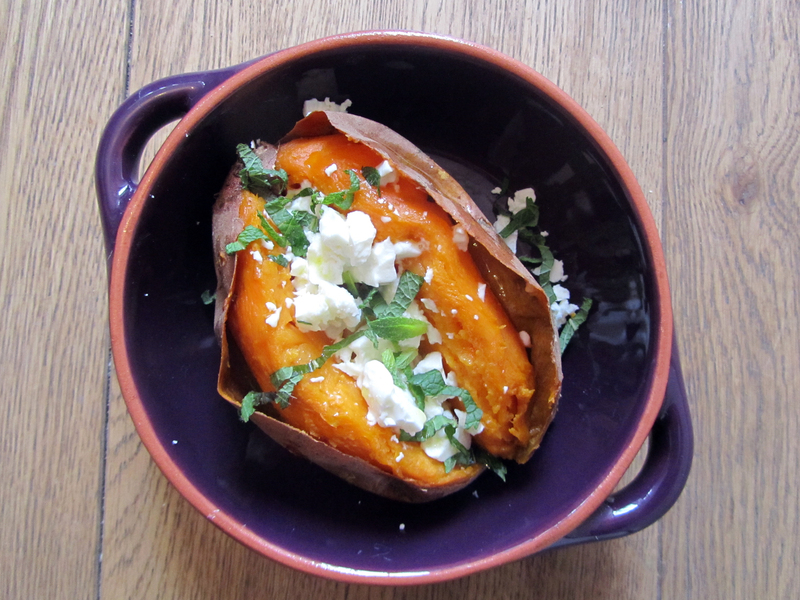 Sprinkle two of the potatoes with the crumbled feta and chop mint. Finish with a dash of olive oil. Bake the potato in the oven as above. Once the potato is ready, scoop out the flesh. Purée using a hand blender or food processor. You can add a little milk or water to thin to the right consistency. 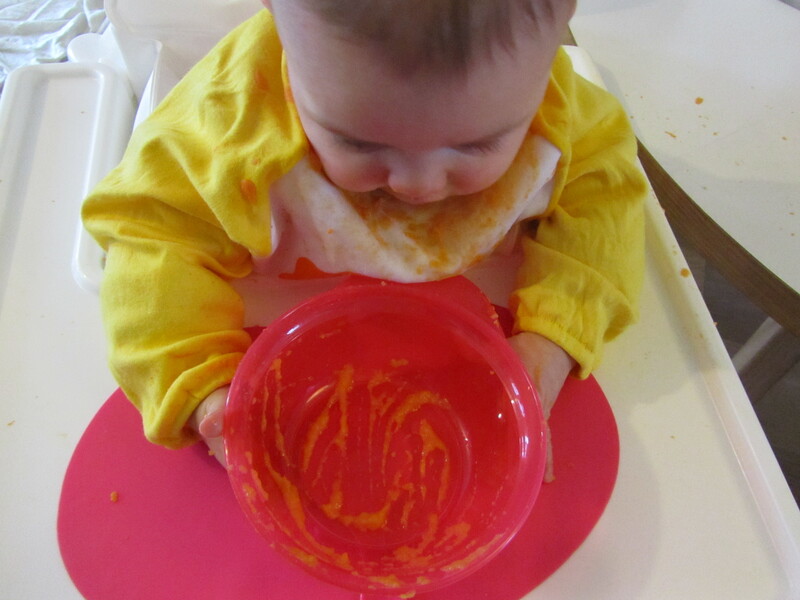 You could also just mash using a fork if your baby is ok with a few lumps. You might even want to make extra to freeze!